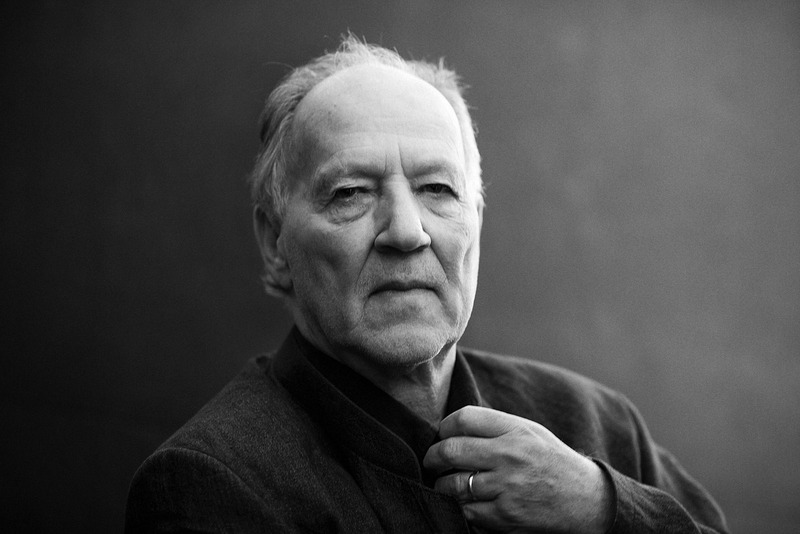 German director, writer, producer Werner Herzog is one of the most revered, versatile and influential filmmakers working today. 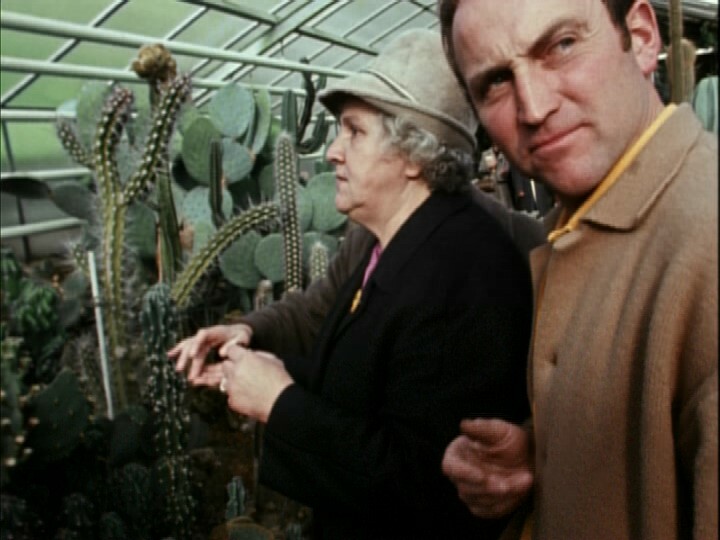 A master of New German Cinema, along with filmmakers such as Wim Wenders, Rainer Werner and Fassbinder, Herzog’s work is a fascinating and poetic mix of captivating documentaries and epic fictional dramas. 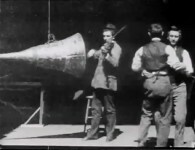 Despite the great diversity of Herzog’s films and their subjects, all have received popularity and critical acclaim, especially within art-house circles. Heavily driven by cinematic authenticity, Herzog’s interests go far beyond cinema into history, philosophy, politics, psychology and sociology. Herzog is fascinated by the natural world and, the ‘nature’ of human kind. 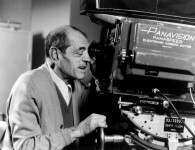 Many of his films feature tales of triumph and explore human behavior to the extreme. Whether seasoned actors performing a role, or non-actors telling their life stories, Herzog’s characters are all fascinating individuals with big ambitions and dreams. His collaborations with the Klaus Kinski are some of the most volatile but fruitful in recent cinema. At the age of 71, this visionary filmmaker and daring documentarian is still making captivating films. As a lover of nature, Herzog’s filmmaking has taken him to every continent. Herzog’s films span numerous genres and he combines his skills in both feature-film and documentary making to bring us films which are beautiful, enigmatic and thought-provoking. With his larger-than-life attitude and thirst for knowledge, not only is he willing to go to unprecedented lengths in order to achieve his own desired results, but he is willing to push others to their limits in a search for truth and authenticity. This black and white film is one of Herzog’s most bizarre and surreal works. Set in a mental institution for dwarves and midgets, these marginalized residents become fed up with being exploited by ‘normal people’. They stage a coup, taking over the asylum and upsetting the status quo. These little people violently rebel against the asylum’s director and guards. Similar in its surrealistic style to Harmony Korine’s recent Trash Humpers (2009), Even Dwarves Started Small is virtually devoid of plot, is very experimental, shocking and unsettling to watch. In this peculiar study of human nature, Herzog makes the viewer question their own views on society, power and the alienation of man. In this moving documentary, Herzog investigates the nature of human communication by engaging with a group of deaf-blind people of varying ages and backgrounds, following them in their everyday lives. 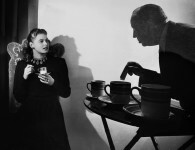 The film’s protagonist, Fini Strabinger is a deaf-blind woman who has made it her life’s work to help others suffering from the same affliction as her. She teaches others sign language and takes them on wondrous trips to gardens and zoos to touch and experience the natural world around them. The film is both sobering and heart wrenching; watching these people undertakes even the simplest tasks, for which there is overwhelming sense of achievement. With minimal narration, this film takes a cold but unobtrusive look into the alienating yet captivating world of these marginalized individuals. 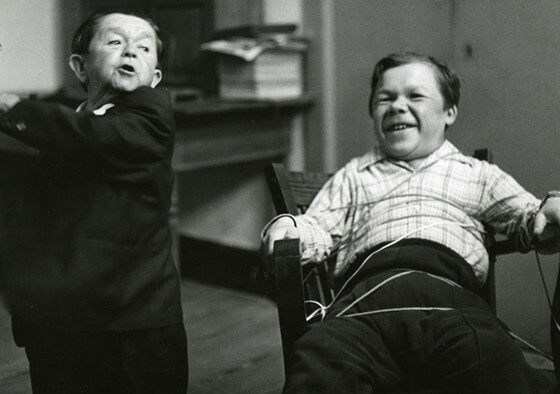 It explores their struggle to live in the modern world with their disabilities. It is amazing that despite their profound incapacities, these individuals are living their lives with such fulfillment and a sense of dignity. Aguirre, the Wrath of God is an epic historical drama which explores the doomed expedition of conquistador Gonzalo Pizarro (Alejandro Repullés) in the 1560s, as he leads his army through the Amazon on a suicidal mission to find the legendary Inca city of El Dorado. After running out of supplies, Pizarro appoints Pedro de Ursúa (Ruy Guerra) to scout ahead down the Amazon River. 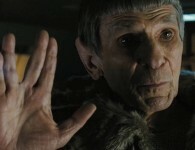 However, Ursúa’s second in command, Lope de Aguirre (Klaus Kinksi), mutinies and this mission takes a turn for the worst ending in disaster. The striking visual imagery of the Peruvian jungle is counterpointed by the madness and greed of Aguirre, who will stop at nothing to complete his search for gold. 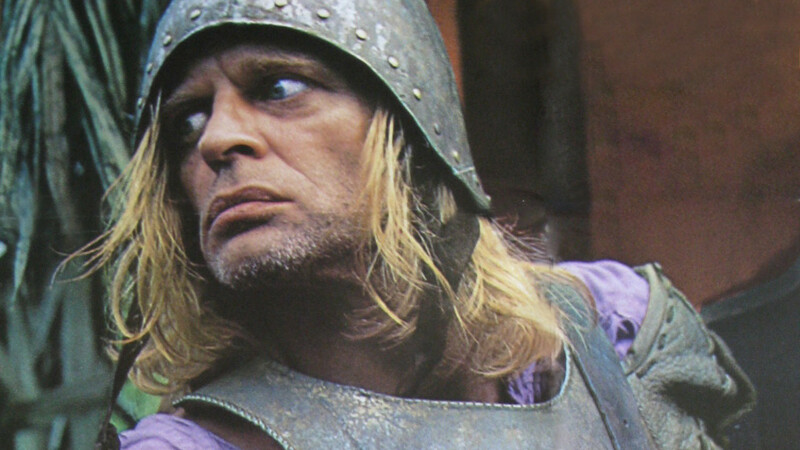 Made on a tiny budget with a stolen camera from the Munich film school and with the spirit of guerilla filmmaking at its heart, Aguirre, the Wrath of God’s production process is as fascinating as the story itself. This film is the first and best-known of the explosive collaborations between Herzog and the tyrannical Klaus Kinski, who’s portrayal of Aguirre’s greed and lust for power is compelling. This short yet captivating documentary follows the life and sporting triumphs of two-time world ski-jumping champion Walter Steiner. 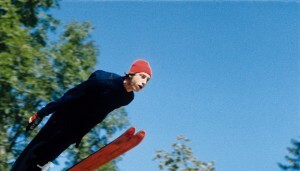 Using slow motion footage of Steiner in action at the 1972 and 1977 Winter Olympics, accompanied by a captivating score by Popol Vuh, Herzog paints a fascinating picture of a sportsman at the height of his greatness where the sky is literally the limit. Walter Steiner is the archetypal Herzog hero – a man obsessed with greatness and dedicated to his craft yet terrified by failure. Steiner is an acclaimed figure in his own field. 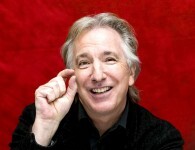 He is man so confident in his own abilities that he seems to transcend the human condition. Stroszek follows the life of the title character, Bruno Schleinstein, a German, alcoholic ex-prisoner and ex-mental patient, who dreams of a better life for himself in the United States. After some violent altercations and being fed up being trapped in a bleak existence, Bruno along with his elderly friend Scheitz (Clemens Scheitz) and prostitute Eva (Eva Mattes) head to Wisconsin to live the ‘American Dream’. Things are good at the beginning as the land of opportunity is a new and exciting place. However, faced with the same financial struggles, alienation and purposelessness as in Europe, the trio soon comes to the realization that their lives in America are just as melancholic as in Berlin. 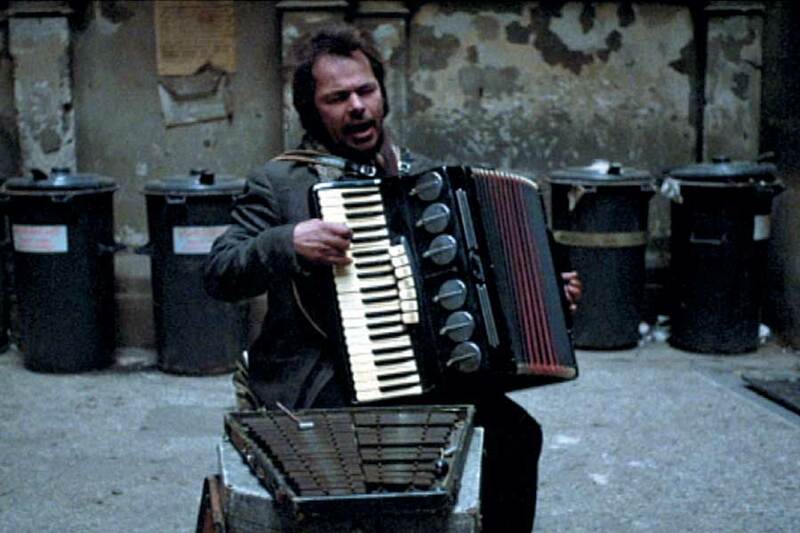 The three title characters in Stroszek are all played by non-actors, the most interesting of them being Bruno Schleinstein, a Berlin street musician who also played the title role in Herzog’s The Enigma of Kasper Hauser (1974). 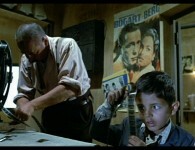 This film is loosely based on the trials of Bruno’s own life as a vagabond. These non-actors give amazing performances and help to bring a surreal and poetic realism to the film. 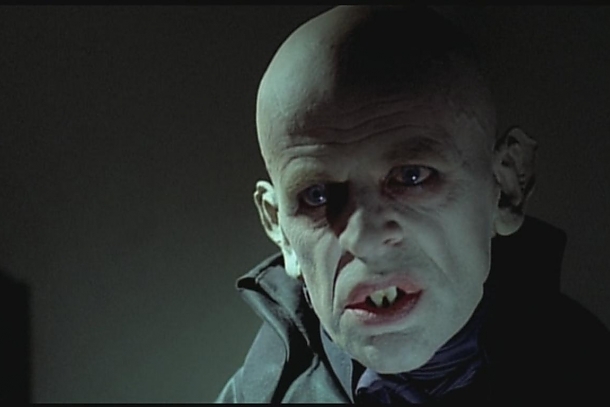 Nosferatu the Vampyre is Werner Herzog’s homage to F.W. Murnau’s 1922 silent horror classic, featuring an unrecognizable yet terrifying Klaus Kinski in the title role. Keeping closely to the original Bram Stoker’s version of the story, the film follows Jonathan Harker (Bruno Ganz) a successful real estate agent in Wismar, who lives with his beautiful wife Lucy (Isabelle Adjani). Jonathan’s boss learns of a nobleman named Count Dracula who is interested in buying property in Wismar, and sends Jonathan on an arduous month-long journey to Dracula’s castle in Transylvania to close this lucrative deal. Papers are signed and Count Dracula prepares himself for the long journey to Wismar by boat, bringing along his possessions in coffins. Upon reaching Wismar, the Count is captivated by Lucy’s beauty, and his plans soon turn sinister as his arrival in this quaint German town brings a wave of disease and death. Staying fairly true to the original gothic visual style and feel, Herzog’s modern retelling of a classic takes a much more introspective look at Count Dracula and his melancholic and lonely immortality. In Herzog’s Nosferatu, Count Dracula himself is an allegory to the Black Plague – both being destructive forces, which sweeps over the town of Wismar and bring death with it. Inspired by the real-life 19th century Peruvian rubber baron Carlos Fermín Fitzcarraldo, this film is the epic story of wealthy rubber baron, Brian Sweeney Fitzgerald or Fizcarraldo as he is known, an Irish man living in Peru. 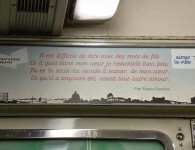 He is a lover of opera and a great admirer of internationally known Italian tenor Enrico Caruso. Fizcarraldo’s dream is to build an opera house in Iquitos. 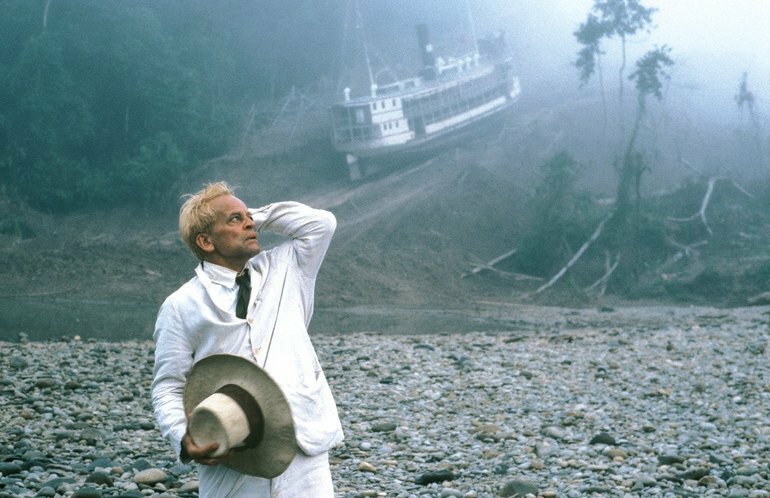 Fitzcarraldo mans a huge steamboat and sets sail for the Amazon jungle in search of rubber to fund his dream. But problems arise when they run into some hostile natives and are forced to use pulleys to physically haul the 300 ton ship over land, through unforgiving jungle terrain. This epic story has many similarities to Herzog’s Aguirre. 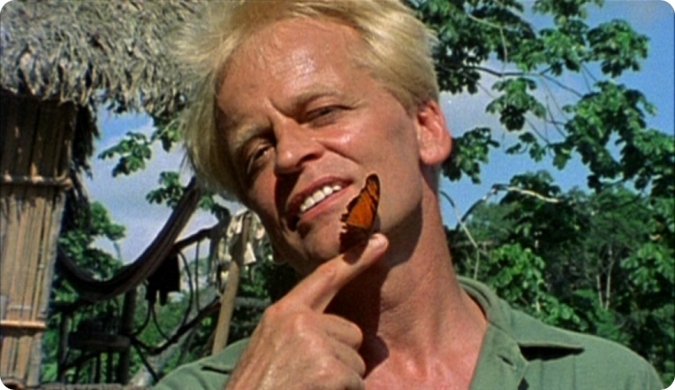 Both films feature obsessive men (played by Klaus Kinski) who are driven to seemingly impossibly goals, guided by their own desires, battling with nature. 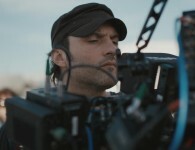 Both stories were filmed in the harsh Amazonian jungle and included many obstacles with production. In both cases, Herzog proved to be as driven as his protagonist to bring these epic stories to the big screen. This poetic and haunting documentary follows the devastating environmental and social impact of the 1990s Persian Gulf War. 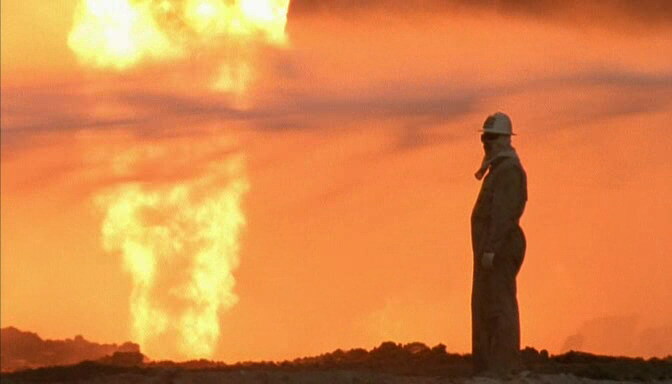 Filmed in the burning oil fields of Kuwait in the aftermath of the war, ethereal images are taken of the alien, war-ravaged landscape from helicopters and set to the music of a sombre yet powerful classical score. Almost devoid of dialogue and commentary, this film is a visual narrative which highlights the atrocities of war and shows us what a toll it takes socially, economically and environmentally. With little historical context for this war, Lessons of Darkness’ cinematography demonstrates the physical and natural destruction of the surrounding barren landscapes, which now look even more alien. Heartbreaking interviews with civilian survivors paint a horrific picture of the brutality of war. This aptly named documentary is a retrospective exploration of the volatile yet industrious relationship between Werner Herzog and German actor Klaus Kinski. Regaling us with stories both professional and personal, Herzog shares his frustrating, dangerous and wondrous collaborative experiences with this deeply complex man. Despite their ups and downs, Herzog says of Kinski: “we complemented one another. I needed him and he needed me”. Using footage from Herzog’s films, interviews with Kinski himself, his family and other actors, the film portrays Kinski as tyrannical, tenacious and egotistical. The relationship between these two men is built on extremes. Herzog and Kinski’s shared determination, stubbornness and passion for filmmaking and for life have made their cinematic collaborations one of the most renowned and successful in filmic history. The White Diamond is a documentary which at its core explores the history of aviation. 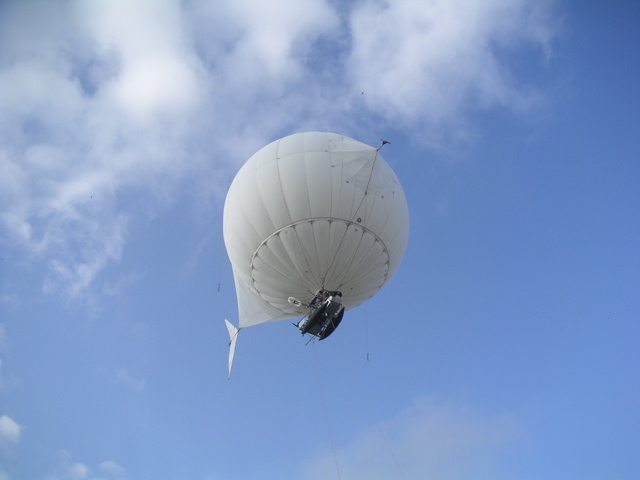 On a more personal level, it follows the life of British aeronautical engineer Dr. Graham Dorrington, who has designed and built his own human-powered airship that he plans to fly over the forests of Guyana. As many of Herzog’s documentaries, The White Diamond is a mixture of exploring the personal trials and tribulations of Dr. Dorrington during his engagement with nature. Dr. Dorrington is determined to fulfill his dreams of flight, even after being haunted by the death, in an airship accident years before, of his close friend Dieter Plage. This documentary is a balanced mix of beautiful scenery from nature and exploring the human condition. The immense guilt that Dr. Dorrington experiences over his friend’s death does not stop him from reaching for his life’s goal. Like most of Herzog’s documentaries, this film is an exploration not only of nature as beautiful and unforgiving but also of humankind triumphing over personal adversities to achieve greatness. 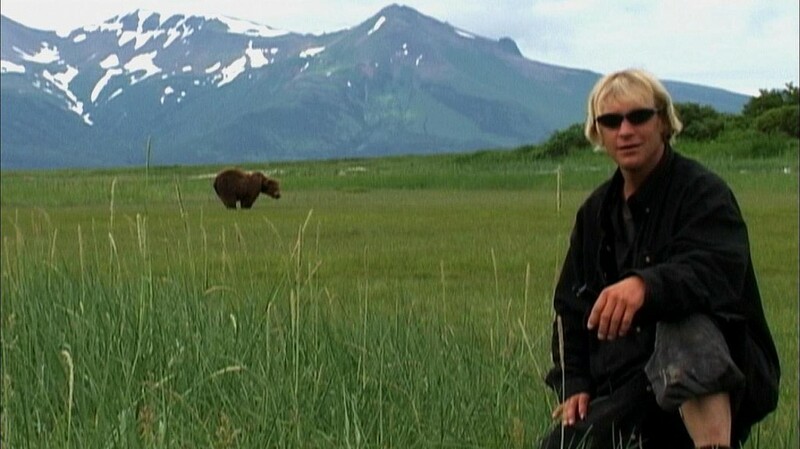 Grizzly Man follows the life of naturalist and filmmaker, Timothy Treadwell, who dedicated his life to becoming a ‘nature man’ and bear enthusiast; living amongst a community of wild grizzlys in the Alaskan wilderness. Treadwell’s loony idealism and desperation to have this community of bears accept him, ultimately led to his own death and the death of his girlfriend, Amie Huguenard who were both killed and eaten by bears in 2003. The is a retrospective, pieced together from Treadwell’s own documentary footage of his life in the wilderness and his interactions with bears, as well as interviews with people who knew him, and animal experts. The film not only explores the beauty and mystery of the wilderness, but also asks questions about ‘human nature’ and the relationship between man and beast. Herzog paints a compelling portrait of the complex Treadwell whose passion and dedication to these majestic, yet deadly creatures cost him his own life and the life of his partner. 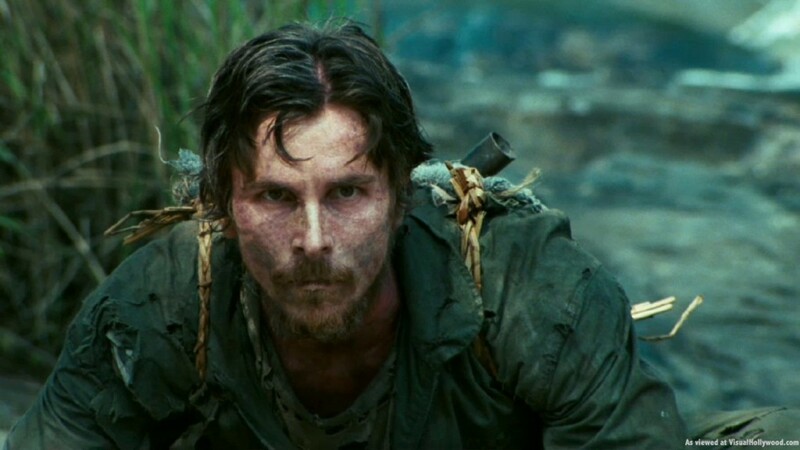 Rescue Dawn is a Vietnam War docu-drama based on the exploits of German-born US Navy pilot Dieter Dengler (Christian Bale), who is shot down, captured and tortured by the Laotian equivalent of the Vietcong in 1966. The film follows his triumphant escape from their prison camp and subsequent rescue by American soldiers after spending weeks surviving in the harsh Laos jungle. Wanting as much realism as possible, Herzog made his actors undergo severe weight loss for their filmic roles as prisoners of war. Rescue Dawn was shot in the jungles of Thailand in only 44 days. Fascinated by the cruelty of war and wanting to tell this real life story, Herzog made the documentary Little Dieter Needs to Fly back in 1997 featuring interviews with the real Dieter Dengler. A decade later his story was turned into the Hollywood feature film Rescue Dawn, a more commercialized version of the events. 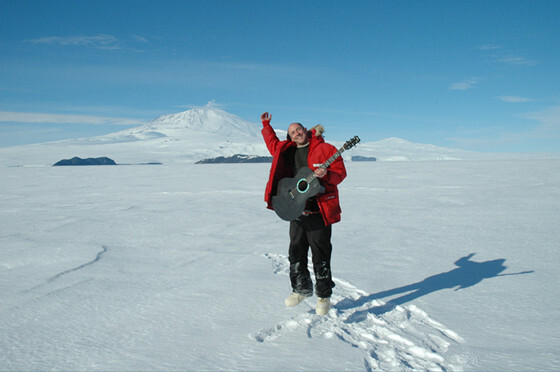 This film examines the lives of those living on the McMurdo Research Station base in Antarctica. Located on the southern tip of Ross Island and serving as the United States Antarctic science facility, this station is the largest community in Antarctica, capable of supporting over 1000 residents. This fascinating documentary follows the everyday lives of the inhabitants – undergoing survival training, engaging in scientific research, and braving the sub-zero temperatures of this beautiful yet unforgiving land. This poetic documentary explores the enigma of nature and the fragility of the human condition through interviews with the station’s residents. Herzog offers viewers an opportunity to see up close the inhabitants, the wildlife and the awe-inspiring beauty of one of the most inaccessible landscapes on Earth. Into the Abyss is a powerful documentary which follows the lives of two young men convicted of a triple homicide in Conroe, Texas in 2001. One of the accused men, 28-year old Michael Perry is scheduled to die on death row within eight days of filming. Heart-wrenching interviews are conducted in the prison with Perry in his last days. 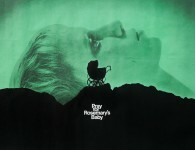 As the title suggests, this documentary, based on a real-life tragedy, gazes into the ‘abyss’ of the human soul. Herzog employs uncompromising interviews with the perpetrators of the crime, families and friends of the perpetrators and victims, witnesses of the crime and state officials. The gives different perspectives on the nature of this complex crime, while probing the human psyche and exploring why people kill. The film question the validity of the death penalty and capital punishment. 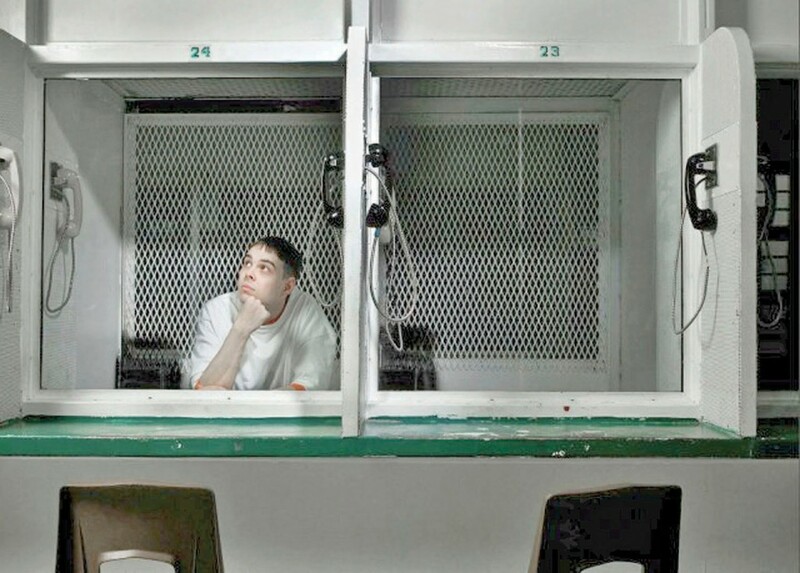 Herzog points out the absurdity that convicted murderers in the state of Texas face a much harsher fate than in other jurisdictions. 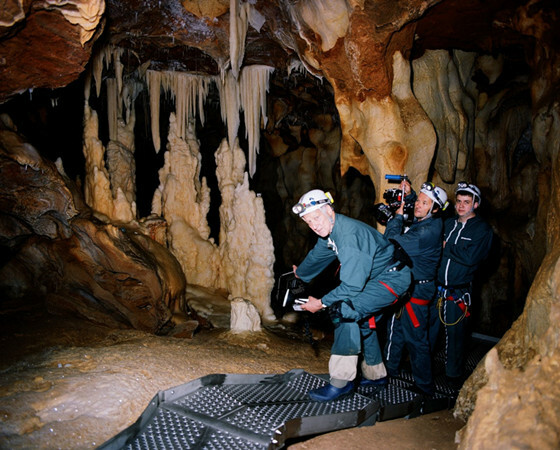 Cave of Forgotten Dreams is a fascinating study of the evolution of early man. Its subject is a series of 32,000 year old cave paintings in a remote location in the Chauvet Cave in southern France. The paintings themselves are beautiful and sophisticated images of animals and humans. Herzog speaks with a range of scientific and historical experts, who speculate what life was like for these Paleolithic humans tens of thousands of years ago. Through the use of 3D cinematography, these cave drawings come to life on screen; they are marvels within an ‘ancient art gallery’ and we as an audience are totally emerged within the magic. Herzog notes that these important paintings indicate the beginnings of the modern human soul”, and likens them to an early proto-cinema. These glorious works of art within these dark caves are allegorical to the story of Plato’s Cave and early cinema; as viewers sit in darkness and gaze at the projected images before us.